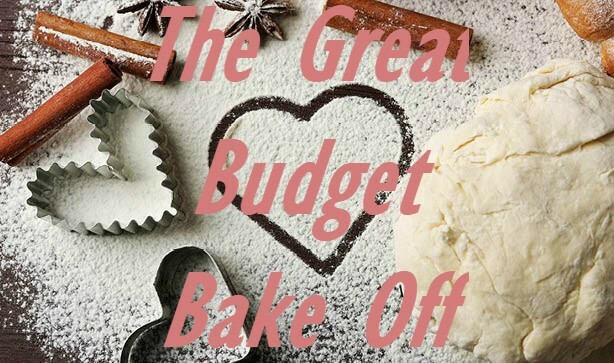 The Great Budget Bake Off! It’s the moment we’ve all been baking for ladies, gents, and everyone in between: The Great British Bake Off is returning to our screens!! A lot has happened since Nadiya Hussain won the last season: Mary Berry’s infamous floral jackets are now the height of high street fashion, Nadiya has a book epically titled ‘The Chronicles Of Nadiya’, and Paul Hollywood is… well he’s still being Paul Hollywood really. 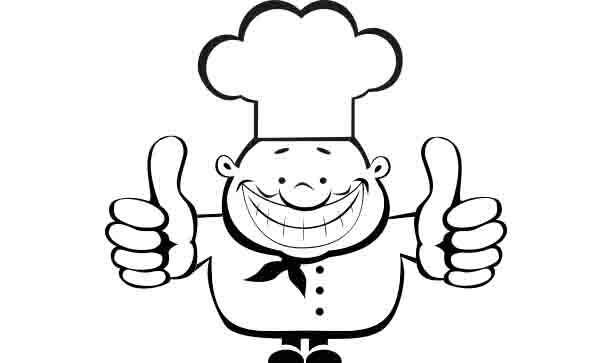 On August 24th we’ll get to see the next batch of contestants bake off for the prestigious title of the best baker! To celebrate the return of our favourite show, we thought we’d get in on the fun and hold our very own ‘Great Buyer Bake Off’!! 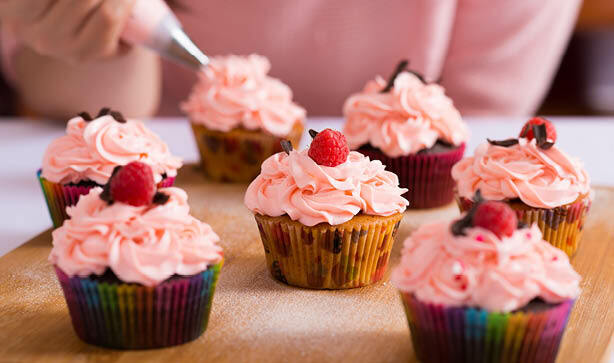 Five members of our buying team have bravely volunteered to put their baking skills to the test for the next three weeks to be in the running towards become the best buyer baker. 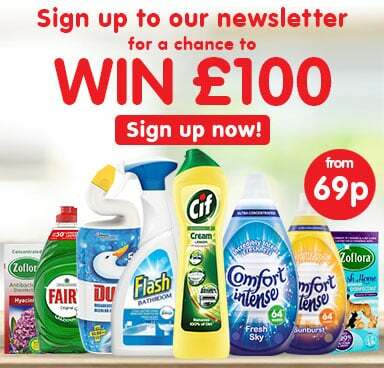 But how will we decide the winners without Mary Berry?! That’s why we need you lovely VIPs - Very Important Poundstretchers! Every week we’ll be posting pics and videos of each cake on Facebook, Twitter, and Instagram. Our office will do the tasting though – sorry guys, technology has not advanced enough for us to send you a cake slice through social media! You can vote by telling us your favourite cake from our bake off by commenting on Facebook, Instagram and Twitter. We feel bad that you can’t eat the cakes so every voter will be automatically entered in to an online prize draw to WIN a £20 Poundstretcher voucher! We will pick one person at random each week, good luck to all who enter! 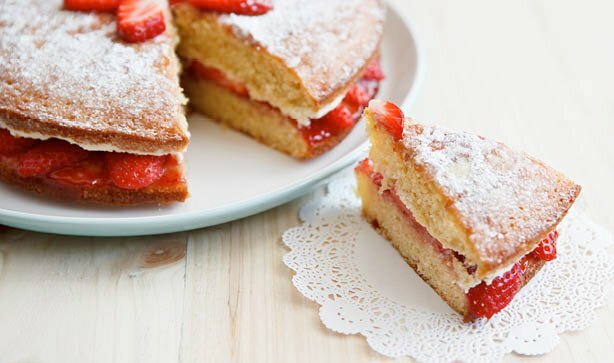 Our buyer bakers’ first challenge is to make a classic Victoria Sponge. All of the cake tins and accessories used are Poundstretcher’s very own! 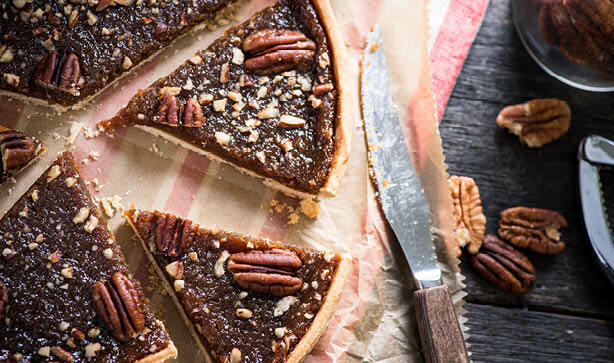 Because let’s face it, home baking on a budget tastes amazing and we wanted the buyer bakers to get creative (as well as cause chaos in the kitchen) to show that you can bake cheaply. So while you wait for your bread to rise and your cakes to bake, why not log on to our social media profiles and vote for your favourite Poundstretcher baker? 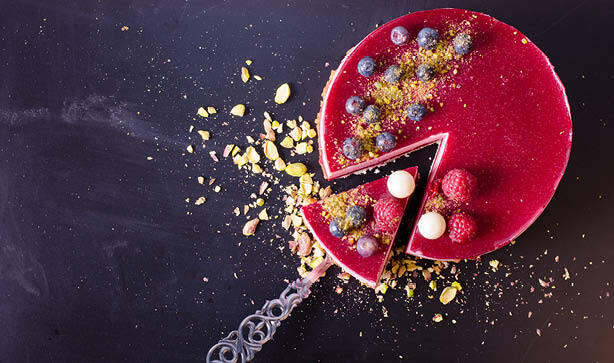 Visit our Instagram, Twitter and Facebook to drool over the buyer’s cakes for this week – don’t forget to like, share, and comment on your favourite to be in with the chance to WIN Poundstretcher vouchers! Got baking on the brain? Pop in-store and check out our fantastic value range of home baking accessories from cake tins to whisks to self-raising flower and icing sugar. 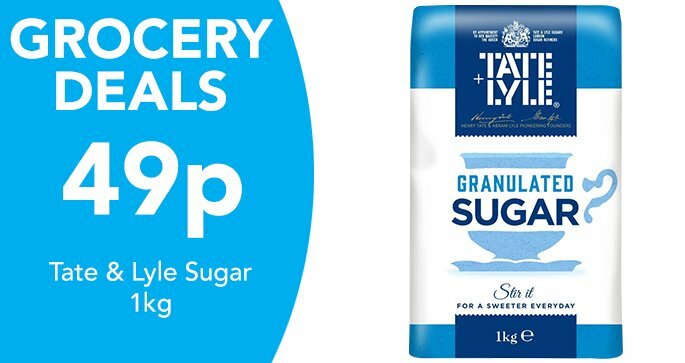 Find your nearest store here to get all your baking essentials! September is looming so already you’re probably sorting that inevitable back to school shop! While some kids are stepping in to school for the first time, some are leaving the family home to begin their first week as a fresher. We've got plenty waiting for their first day at school all the way up to when they're sashaying in to seminars. 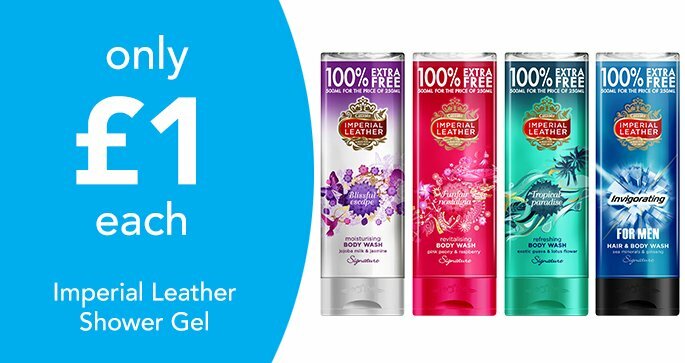 So we thought we'd give you a bit of a sneak peak of our fantastic value back to school and back to uni ranges! Poundstretcher HQ is going dotty for all things Disney this month! 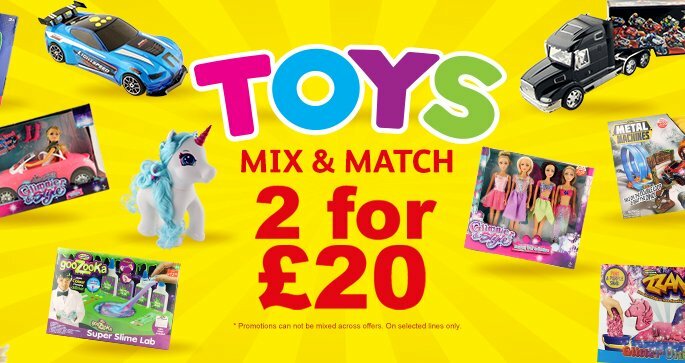 Just keep swimming over to your local Poundstretcher store as a wave of Dory products from Mini Bowling Sets to Deluxes Art Kits is set to surf over. We’re so excited to watch Finding Dory in the cinema, we’ll be looking out for our favourite forgetful-yet-unforgettable blue fish and her fishy friends like Nemo while watching! Our Disney Art Sets are packed full of stationery supplies that will complete their back to school kit nicely starting from a bargain £3.99! 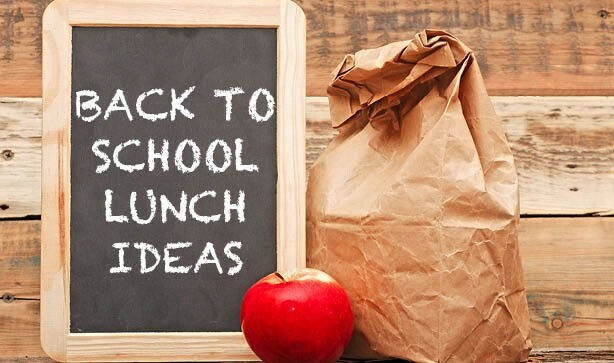 From Frozen and Disney Princesses to Finding Dory, these kits will be not only the perfect back to school run-up boredom buster but will keep their school bag topped up. Chances are your little one is probably going to be getting used to going to bed a bit earlier ready for when school starts again. For some parents, bedtime is a nightmare and if they had a quid every time they heard ‘I don’t want to go to bed’ they’d be millionaires! Make bedtime a bit more appealing so they can rest up before they go back to school, with some new pyjamas? 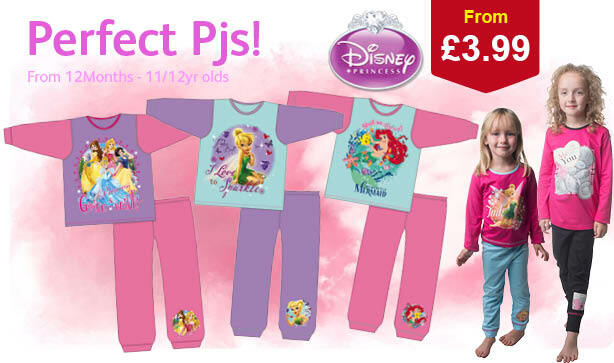 We have a lovely selection of kids PJs adorned with some adorable designs featuring Disney princesses and Star Wars characters! Your little princess will love the aquatic themed Little Mermaid pyjamas while your little one who dreams of heading to the world of Peter Pan will be enchanted by our value Tinkerbell nightwear. 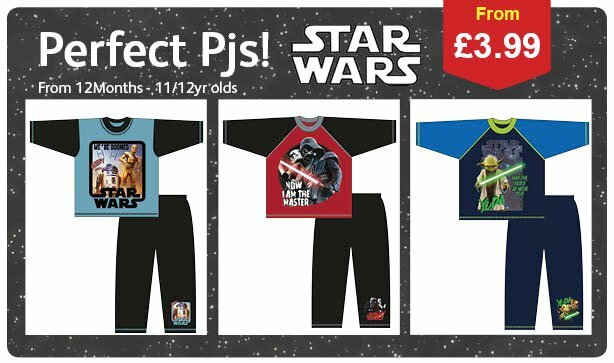 Get your junior Jedi counting light sabers as they dream of a galaxy far, far away with these Star Wars PJs. Each design starts from £3.99 and is available in sizes for tiny 11/12 month olds all the way up to 11/12 years old. 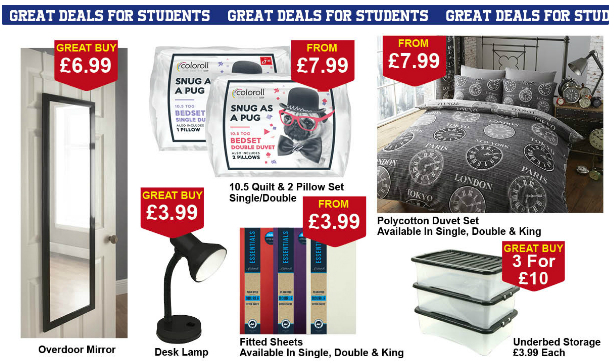 With A – Level results approaching, it can only mean one thing at Poundstretcher: uni home essentials. 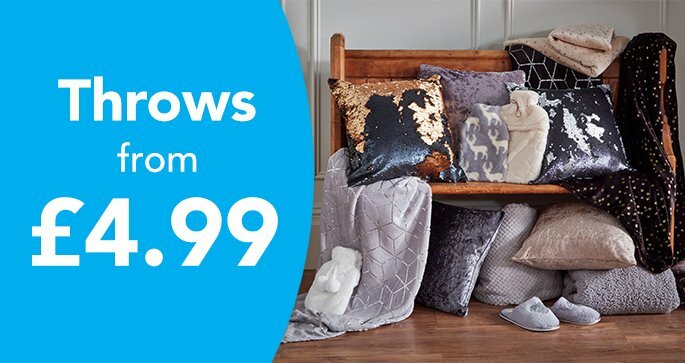 Whether you’re moving to a new student house or flying the nest for fresher’s week, we’ve got some amazing bargains waiting for you. Wrap up with our Snug As A Pug Bedding Sets while dreaming of your gap year with our Cityscape and World Clock Duvet Covers, each from £7.99! 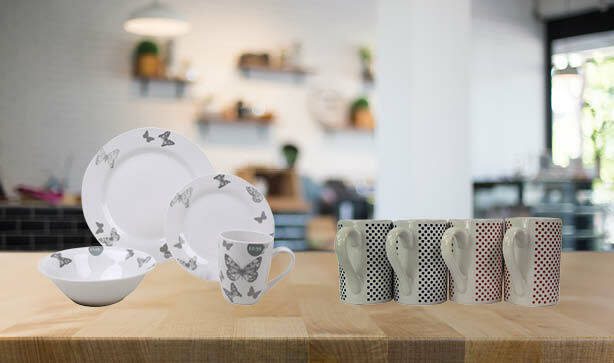 It's always a struggle to keep your student digs tidy while juggling all those assignments. 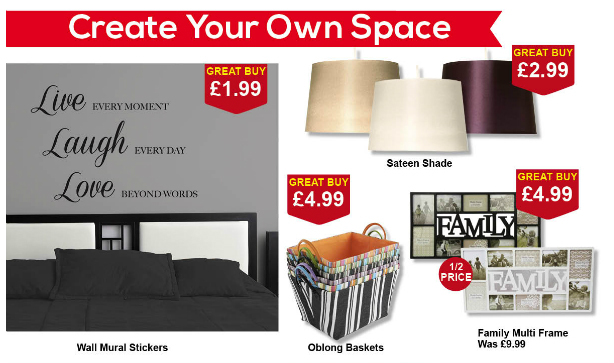 With our Underbed Storage Boxes at £3.99 each and Storage Baskets each just £4.99 are affordable value pieces that will keep your papers, extra home essentials and more out of sight but not out of mind. 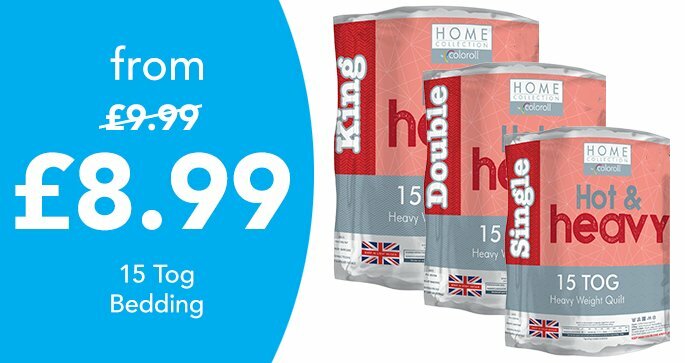 You can de-clutter but decorate your room to look chic with our bargain laundry hampers for just £7.99 that come in a variety of stylish designs. 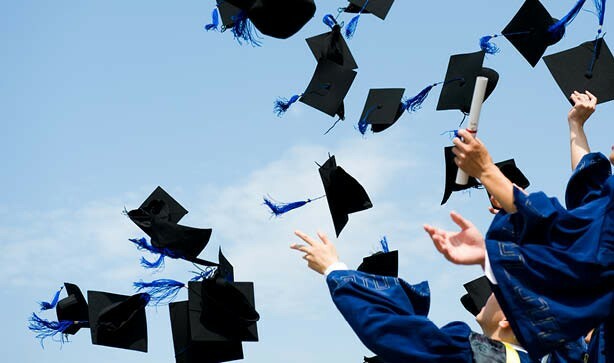 But most importantly, you want to make your uni house a home that motivates you to get those grades to get that cap and gown. Then our Inspirational Wall Decals are perfect for you with their affordable value price at just £1.99. Check back next week for more of our Sneak Peeks on our blog! Like what you see? 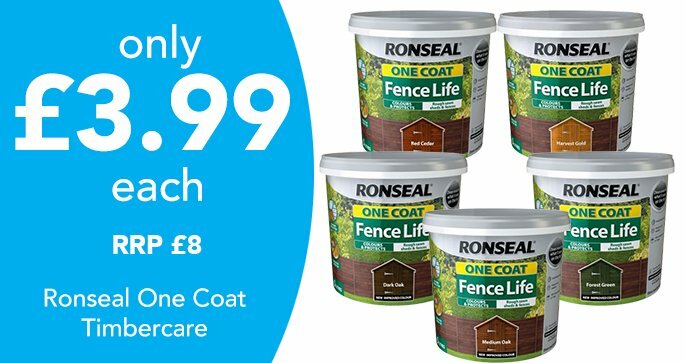 Get it in your local Poundstretcher, find yours here. Whether you're getting the kids back to school or if you're a soon to be fresher heading off to uni, use #Poundstretcher on Twitter and Instagram so we can check our your Poundstretcher swag. 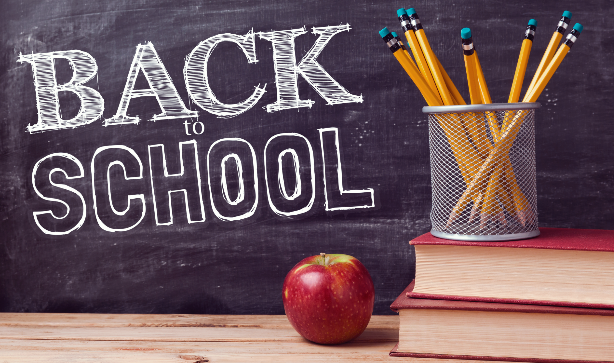 August here which means it’s time to start preparing for the back to school season coming up! 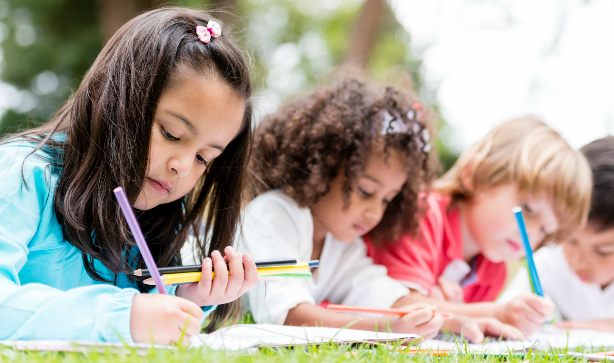 Whether you’re sending the kids back to the books or helping the little ones begin their first big step through the school gates, back to school season is super stressful for any parent and child. So we thought we’d make things a bit easier and help you get them back to school with all their essentials and without tears! Unless your child is an early riser, chances are you’ve all been enjoying sleeping a bit later during the Summer season. 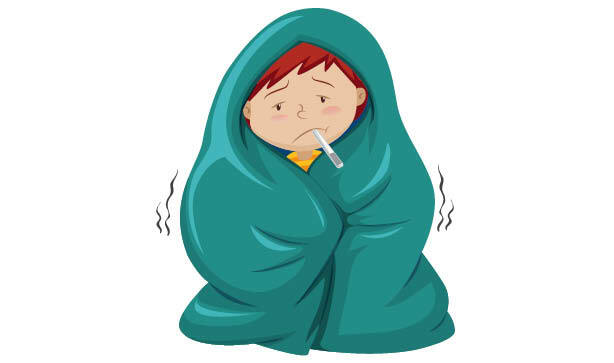 July might have been the time where sitting in your PJs til 11am seemed like a good idea but when you’re preparing your child to be in those school gates by 8.45am, the struggle suddenly gets real. Start their school bedtime routine early in the month by gradually pushing it back half an hour each week. This way it won’t be such a shock to their (or your) systems when it’s time to rise and shine at the crack of dawn to head back to school. 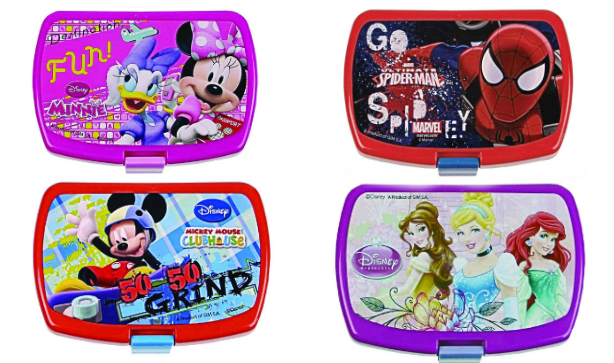 Food storage like lunch boxes shouldn’t have to be boring, especially with our ace Disney Princess and Mickey Mouse Lunch Boxes. This is especially true if your little one is just starting school, seeing something familiar like their favourite cartoon character can be comforting as well as a great ice breaker to get them making new friends. 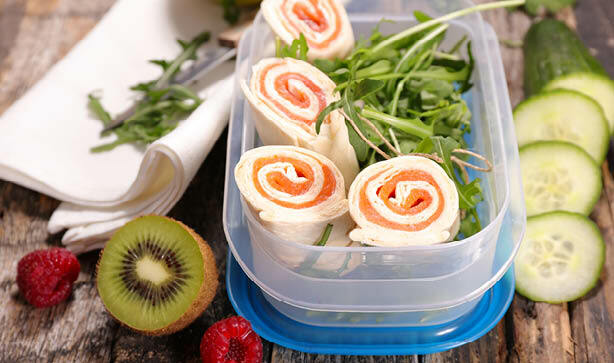 Believe it or not, it’s possible to have a healthy packed lunch that’s also quick! 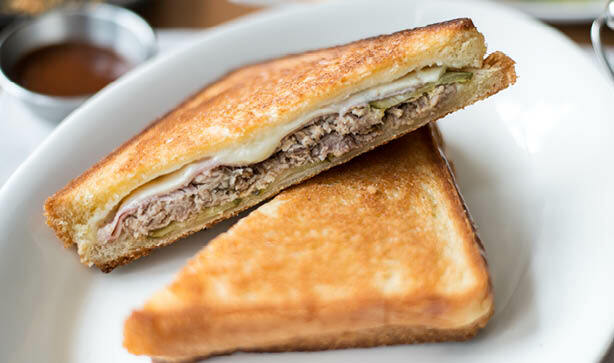 All you need is the usual sandwich ingredients and a bit of creativity! 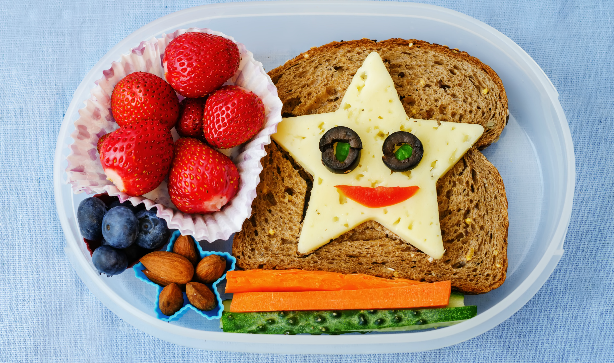 Using cookie cutters to make shapes with sandwiches and their ingredients, putting stickers on their sandwich wrapping, and a little handwritten note will give your child something to smile about – especially if they’re finding going back to school a bit too overwhelming. 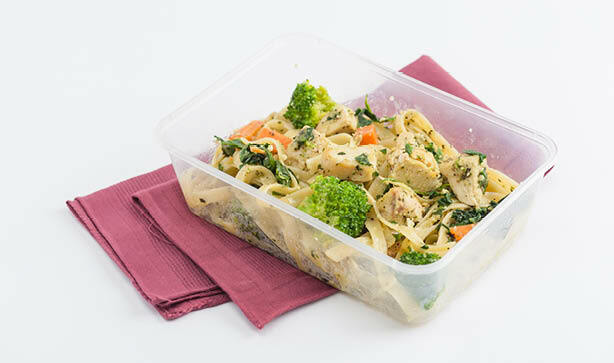 It’s a quirky twist on the staple sandwich pack up that takes no time at all and really makes a difference to their day. Stuck on what to get in the stationery aisle? In bumper art kits you can get all the essentials your new Primary school starter needs as well as a few optional bits and bobs they can leave at home for half term activities. 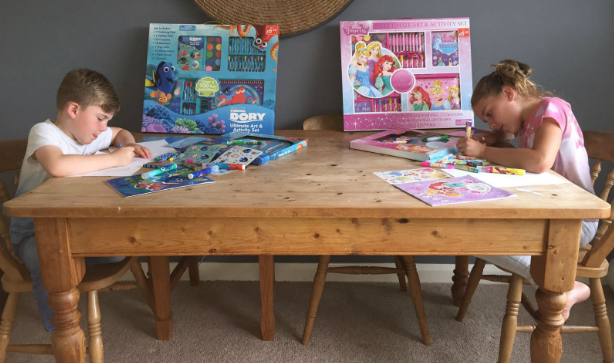 Our Disney art sets are a wonderful way to kickstart their school kit! Available in Deluxe and Ultimate, your little one will have their key essentials like colouring pens and felt tips to get them through their studies as well as a few extras (hello glitter glue) to make their home time fun! With characters from Finding Dory and Frozen available, they’re affordable big brand sets that will be a lovely little conversation starter in class to bring your shy little one out of their shell. Once you’ve got their essentials, you can build on their kit for more specific items like a protractor or a compass without breaking the bank! 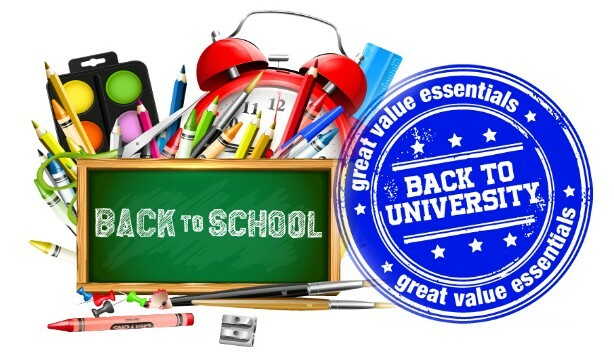 Looking for back to school bargains? Find your nearest Poundstretcher here and check out our incredible low prices on food, drink, home essentials, toys, games and more!